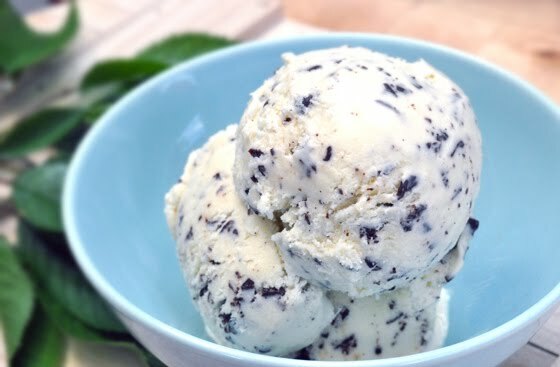 This is my favorite ice cream/gelato! There are other ice creams and gelatos out there that I love, like dulce de leche (yum!) or pistachio - love it! 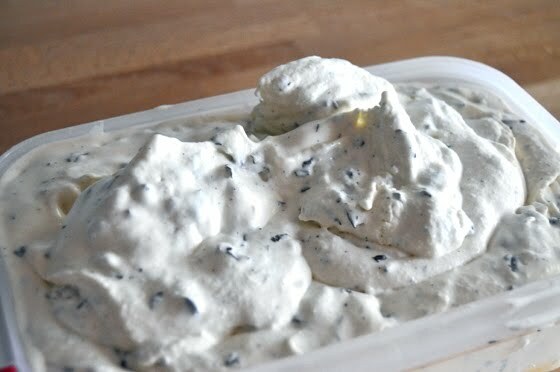 But I grew up eating stracciatella and it is so simple and delicious. This recipe reminded me of the ones I used to eat, it is not that good, I have to warn you right away. I don't think you can make one as good home, I just don't. The chocolate bits need to be so small that they are almost not bits of chocolate anymore but one with the ice cream, but just almost. They still do need to be something separate. 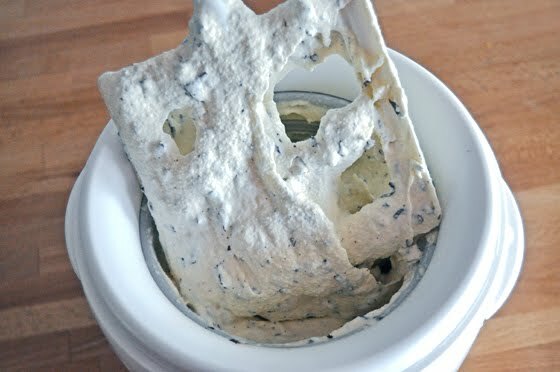 It is a tricky thing, but it makes a difference, if you had real stracciatella made in a good gelateria, you will know what I mean. But, this is a home made version for my nostalgic heart and tummy. It was great! I found the recipe on Italian Chef and decided to give it a go! Stir the milk and sugar together in a medium sauce pan over medium heat and add the vanilla bean. Heat until bubbles begin to form around the edges. Remove the pan from the heat and steep for 15 minutes. In a medium bowl, whisk the egg yolks together. Slowly whisk the warm milk mixture into the egg yolks and transfer the mixture back to the sauce pan. 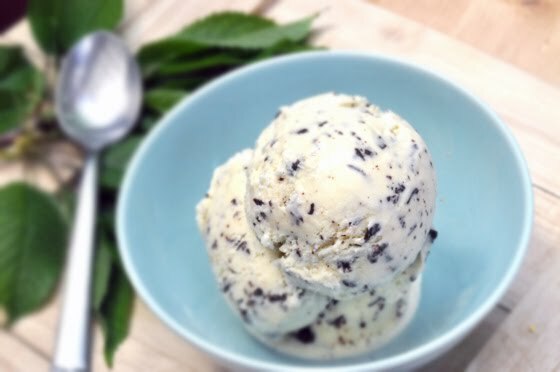 Cook over medium heat stirring constantly with a wooden spoon until mixture thickens and coats the back of the spoon, 8 – 10 minutes and remove custard from heat. Pour the cream into a large bowl and place a mesh strainer on top. Pour the custard through the strainer, discarding the vanilla bean, and stir it into the cream. Cover and refrigerate until chilled. 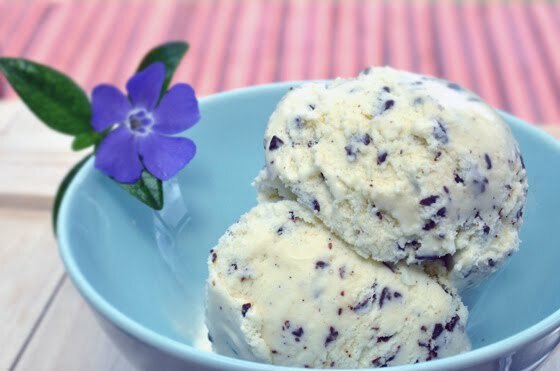 Remove custard from refrigerator and process in ice cream maker according to manufacturer’s instructions. 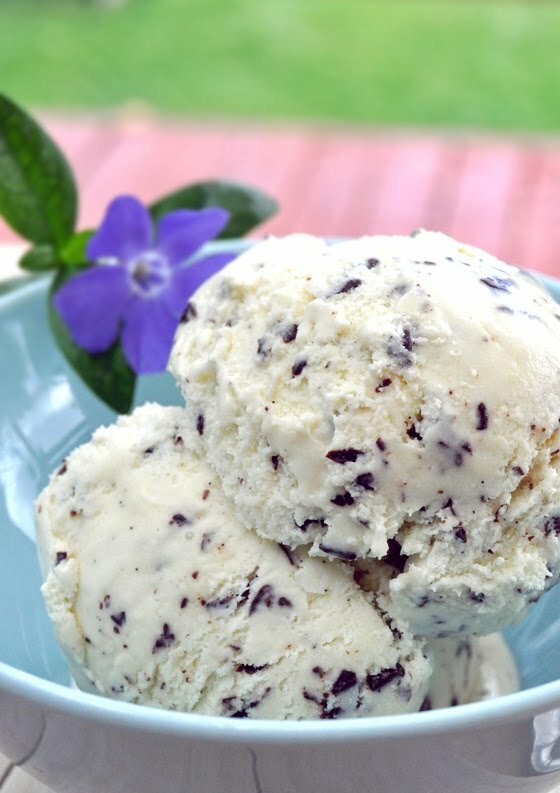 While ice cream is churning melt chocolate in a sauté pan over low heat or in the microwave. Drizzle a very thin stream of the chocolate into the gelato during the last few minutes of churning.